DENVER, Colo. – The U.S. 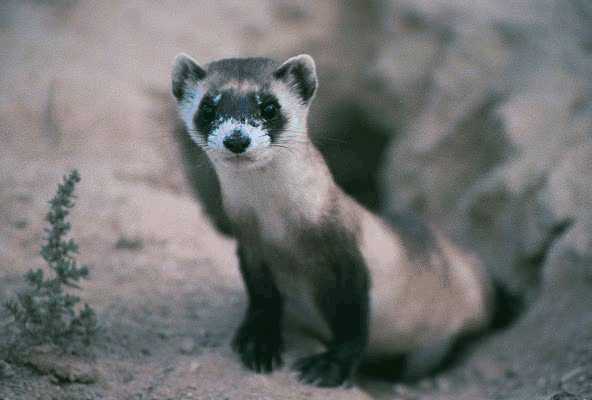 Fish and Wildlife Service has completed a programmatic safe harbor agreement for the black-footed ferret in cooperation with state, tribal, federal and local partners in 12 states, after more than two years of collaborative effort. This agreement provides opportunities for private and tribal landowners to volunteer their lands for reintroduction of this endangered species without affecting their land-use activities beyond measures mutually agreed upon. It also extends these assurances to surrounding non-participating lands and other landowner interests. This agreement will be an important step in promoting the recovery of this iconic species. The service delivered a notice of availability of a draft agreement and environmental assessment to the Federal Register for a 30-day public review and comment period on Dec. 19, 2012. An extension of the comment period and availability of the documents for public review was announced on Jan. 23, 2013. The final agreement and environmental assessment are now available here. Anyone needing a printed or electronic copy may contact Kimberly Tamkun at 970-897-2730 or kimberly_tamkun@fws.gov. 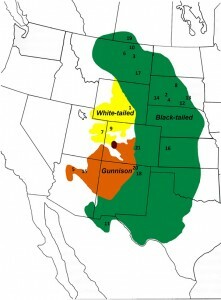 As the first enrollees in this agreement in the nation, Gary Walker and Georgia Walker, who own a ranch near Pueblo, Colo., welcomed captive raised black-footed ferrets to their property in November. These animals were pre-conditioned for release in the wild by living in prairie dog burrows in predator-proof pens, as well as having had the opportunity to prey on these rodents, which are their principal food in the wild. “The return of this species to eastern Colorado is a testament to the state’s commitment to wildlife and the willingness of reasonable partners to accommodate both conservation and business interests,” Gary Walker said. The species was thought to be extinct in 1980 as a result of the decline of prairie dog populations and non-native disease, but now numbers approximately 300 individuals in captive breeding facilities across North America and approximately 500 individuals in the wild where previous reintroductions have occurred. Ferrets released at Walker’s ranch will likely have young in the wild this coming spring, as has been documented for most previous ferret reintroduction efforts. Can we put some in Iron county?